I have recently had the pleasure of getting to know Tyrone Bridges, and am proud to have him as a friend. Tyrone is genuine and truly speaks straight from the heart. I'm thankful to have had the opportunity interview Tyrone in PWP. 1. What inspired you to run for elected office in Ypsilanti Township? In February of this year, my daughter was shot at a hookah bar in Ypsilanti Township and the lack of township trustee representation towards Juvenile Delinquents and Senior Citizens. No voice for the voiceless! 2. Ypsilanti and Ypsilanti Township schools have faced some difficult challenges over the past few years. The Ypsilanti/Willow Run school merger was a little dicey. What is your take in regard to the local public school districts? 3. Gang violence has been an issue in Ypsilanti and Ypsilanti Township recently, particularly last summer. There is a citizen group called Ypsilanti Community Interrupters. They were formed with intent to educate citizens in regard to how to help stem violence in the community. What is your opinion on the Ypsilanti Interrupters and local gang violence? I do not have an opinion about the Ypsilanti Community Interrupters, although I feel that any proactive approach towards stemming violence in the Ypsilanti/Ypsilanti Township community is much better that reactionary. We seem to have way too many organizations trying to stem violence without networking together in a unified effort to make the most powerful impact on the community. Local gang violence in the Ypsilanti/Ypsilanti Township stem from many at-risk youth have too much idle time without as access to a Community Center or Boys and Girls Club which would give them an outlet to extort their youthful energy. 4. What is your opinion on the surveillance camera program in West Willow? Do you feel that the program has been effective in stemming violence in the community? Surveillance cameras can be on effective tool if placed in good strategic areas with proper monitoring also community involvement is necessary to stem violence and crime in the community. 5. What is your vision as far as economic development in Ypsilanti Township? Encourage investors through the small business sector and empowering local residents into becoming entrepreneurs through education from the assistance of local community colleges and universities. I would also try to create a partnership with Ypsilanti Community Schools for empty building space to become new Ypsilanti Township business growth and development center including networking with non-profit organizations to bring jobs for Ypsilanti Township residents. Now on a much lighter note! I contacted Jimmie back in June asking if I could interview him in PWP about his candidacy. Jimmie readily agreed and I'm glad he did. I think his answers are thoughtful and reflect his passion for the community. 1.What inspired you to run for elected office in Ypsilanti Township? I am running for public office in Ypsilanti Township for a few different reasons. The obvious would have to be that I want to help keep the township moving forward now that one of our long-time Trustees is retiring. After 28 years on the board Jean Hall Currie is retiring and is fully supporting me in my efforts to fill the open seat on the board. I also believe that we need to have diversity on the board of trustees in Ypsilanti Township; a township that is very diverse and should be reflected as such with our elected officials. I also believe I bring to the table leadership that has been proven when I was appointed as a trustee for my church, and also elected as a trustee for UAW Local 898 at the Ford Rawsonville Plant. Also appointed as the Vice-Chairman of the Outreach Committee for the Eastern Washtenaw Democratic Club. Truly understanding finances and making important decisions for the betterment of those I represent have been a blessing over the past few years. I hope, whoever gets elected to the State Representative position for our district, can make sure this issue gets addressed. This is an issue statewide and stems from state policies The way our districts get funded should be more evenly distributed across the state. Also, we need to think about going back to the cap on charter schools that was in place before this current governor opened up the flood gates. It doesn't necessarily have to go back to the 200 or so cap across the state but it definitely needs to be slimmed down to schools that perform well. Nothing wrong with charter schools because some have done excellent! Then there are some who...seem to live up to the "For-Profit" status that they hold. Any group that is willing to start coming out and making a stand on this serious issue, I will support every time! Youth Development has been my main platform this campaign/election season. A lot of our crime is coming from our young people currently and I believe we need to get more active with our youth, and giving them more positive things to do in our community and helping build relationships with business to help our youth gain more employment opportunities. Considering Scholarship incentives and renovating our community center or start to entertain the thought of a real recreation facility in Ypsilanti Township. I believe those that used to do petty crimes have either stopped or moved on to other areas now, but the program itself I don't have a problem with unless the residents say they don't want it. The vote was a 50/50 split from the residents at that meeting. I think we need to revisit some of the other areas that have cameras because there are more residents that have voiced their opinion about them over time as well. Major crimes are still occurring and we need to take better care of taxpayers’ dollars. Promoting responsible businesses, advocating for good paying jobs, as well as supporting the ideas around Regional Transportation and continuing the redevelopment of the Willow Run Bomber Plant. Those are just some things I will push but I must say though, when this research & development facility really kicks off; combined with regional transportation we will see a new Ypsilanti Township. With so many hands involved in the facility, new hotels will be needed, new restaurants, entertainment, and recreation space will be needed and a host of other businesses. Now, on a much lighter note! 6. Who's your favorite band or musician? 7. Do you have a favorite album? 8. Have you read any good books lately? I must say that Walter was a genius and innovator and has helped many generations have a better quality of life. 10. Did you have a favorite TV show when you were growing up? YPSILANTI TWP CANDIDATES WILLIAMS AND BRIDGES CALL FOR ACTION ON BUSINESS US 12 INTERSECTION. Ypsilanti Township Trustee candidates Monica Williams and Tyrone Bridges sent out a press release calling for immediate action on business US 12 intersection. Both Williams and Bridges are West Willow residents. The call to action is due to the fact that there is currently an urgent situation that must be addressed in regard to public safety, specifically, pedestrians crossing the road at the intersections of Business US 12, Dorset Street and Ford Boulevard. This is a hazardous intersection for pedestrians. Tragically, on July 25 Anthony McGeorge died after being struck by a car while riding his bicycle home from work. This accident occurred on West Business US 12 and Southeast Ford Boulevard. Anthony was only 18 years old. Ypsilanti Township Trustee Candidates Monica Williams and Tyrone Bridges believe that the area is hazardous to pedestrians and that immediate steps must be taken to ensure pedestrian safety in that area. I couldn't agree more. Williams and Bridges stress that there is need for a high intensity activated crosswalk signal and increased lighting in the area where U.S. 12 meets Dorset Street and Ford Boulevard. Resident Joann McCollum is frustrated with the fact that this hazardous situation for pedestrians has not been given adequate attention in the West Willow Neighborhood. In the press release from the Williams and Bridges campaigns, the West Willow resident stated, "I'm really frustrated with the intersection and it's obvious that something needs to change there." "The road commission needs to contact our community and let us know if they are aware of the dangers that exist in the section of Business U.S. 12 Dorset Street and Ford Boulevard, and what the are planning to do about it." Tyrone Bridges, who lives near the intersection in West Willow has seen many accidents in this section near his home. In the press release Bridges stated, "Every citizen without public transportation should have a safe passageway to walk, ride a bike or other means of commuting without being subject to being hit by a car that fails to respect the rights of pedestrians on the Business U.S. 12 Interchange." Monica Williams stated to PWP that Roy Townsend from the Washtenaw County Road Commission said that MDOT takes the lead on addressing the issues in the Business US 12/Dorset Street/Tyler Road intersection with the Washtenaw County Road Commission responsible for 50%. Williams stated that this information was from a phone call Thursday morning. As stated in the press release, West Willow resident Monica Williams said, "We as residents of the West Willow Community have repeatedly raised the issue for years of adding additional safety measures to the Business U.S. 12, Dorset Street and Ford Boulevard Interchange. "The intersection as it currently stands is not safe for pedestrians as number of injuries plus fatalities have occurred there. Something should be done and it should be done now." I completely agree with statements made by Candidates and West Willow residents Monica Williams and Tyrone Bridges. If, as Williams stated, the issue of public safety has been raised many times over the years (and I believe her) and nothing has been done by the MDOT or the Washtenaw County Road Commission, it is absolutely appalling. Further, I visited the hazardous intersection twice on Thursday and saw no street lights or lighting of any kind anywhere near the interchange. Unacceptable. Residents have every right to be angry and demand not only immediate change but answers as to way the dire situation at this intersection has not been addressed. The US 12. Dorset Street and Ford Boulevard Interchange. Ypsilanti Township. Purple Walrus Press. MICHIGAN STATE REPRESENTATIVE 54TH DISTRICT CANDIDATES FORUM ENGAGING. Once again, thank you to The League of Women Voters Ann Arbor Area for organizing an informative and engaging candidates debate Forum. The event was held at the Riverside Arts Center in Ypsilanti. The public turn out for the event was smaller than I had expected, but those in attendance were treated to a thoughtful, and well organized forum. Out of the six State Representative running in the 54th district five were in attendance. Those candidates taking part in the debate included Anne Brown, Lisa Cardenas, Ronnie Peterson, Gregory Peoples, and Michael White. Candidate Bill Krebaum was not in attendance. Each of the candidates displayed the genuine concern for the community that you would expect from 54th district State Representative candidates. Many good questions were directed to the candidates and many thoughtful answers and insights were delivered by candidates. When the topic of prison/corrections reform came up all the candidates expressed the fact that the state is in dire need of sweeping changes, and that there are deeps problem within the prison system in Michigan. It was agreed that too many people are incarcerated for non-violent crimes. and it is a important issue. I was glad to hear this shared sentiment from candidates. In regard to the issue of public education the candidates were agreed that difficult deep-rooted and complex problems face not only the state but our community. Candidate Michael White talked of the fact that there is not enough funding for schools and not enough counselors to provide direction for students at school. Anne Brown feels that there exists a need to look at the quality of teaching personnel and the curriculum. Lisa Cardenas is an advocate for starting education at an even younger age than preschool. Gregory Peoples take on education is that a zip code, or whether or not parents can provide transportation, should not direct the education that kids receive. Peoples feels that the whole system needs to be over-hauled. Lastly, Ronnie Peterson, on the topic of public education, said that DPS is the model and the model isn't setting a very good tone. That's for sure. I'm not sure I understood the point Lisa Cardenas was trying to make in regard to her statements on how to improve the public schools. But for the other candidates, I feel they all shared very thoughtful and constructive thoughts on this difficult issue. I think Gregory Peoples nailed it when he said, basically, that the whole education system needs to be over-hauled. To be clear, these issues were not the only topics discussed at the debate but they are the issues that stood out to me. I hope this piece provides a little insight into what was discussed at the candidates debate Tuesday evening at the Riverside Arts Center. Being a State Representative is a tough job. Researching proposed changes to state laws, modifying existing laws, researching how proposed laws will affect folks in a given area they represent, and taking part in tons of meetings with people and committees is very difficult work. All the candidates are to be commended for throwing their hat in the ring. Debate at the Riverside Arts Center Ypsilanti, MI. Photo Purple Walrus Press. YPSILANTI COMMUNITY ACTIVIST TYRONE BRIDGES AND ORGANIZATION MAKING POSITIVE IMPACT. 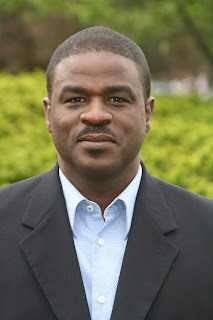 I recently had the pleasure of speaking with Ypsilanti community activist Tyrone Bridges. Bridges is the founder of a wonderful non-profit organization called Behavior Workshop. Bridges founded the Ypsilanti organization 20 years ago. The mission of Behavioral Workshop, and this is directly from the Behavior Workshop website. is to assist families with removing barriers from their lives that tend to stunt their growth and development. The organization is also focused on mentoring young people as far as leadership skills while teaching them computer skills which is so important in today's internet world. The primary goal of the organization is youth development, and that's a beautiful thing. In my conversation with Tyrone over the weekend his passion for young people in the community of Ypsilanti was abundantly clear. This is a man who is clear, direct, and straight forward in his view that young people in Ypsilanti need focus and need something to DO. When he say's "something to do" he means it in a broad sense. In our conversation, and I'm para-phrasing, Tyrone made the point that too many young people in Ypsi get into trouble because there exists a major lack of programs for young people to be involved with, particularly in the summer. I completely agree with his points. In my opinion, I feel it is not fair that wealthy communities like Ann Arbor have so many after school and summer programs that are only affordable for the wealthier residents, but places like Ypsilanti and my hometown of Flint are able to provide very few affordable opportunities for young people. Currently, Tyrone told me that he is working with a group of teenagers who teach senior citizens how to use computers. It is also free of charge. His organization is also working to help residents with home improvement. This is wonderful work. Tyrone Bridges and his organization, Behavior Workshop, is a shining example of the positive work being done in the community of Ypsilanti and it was a pleasure speaking to him. MICHIGAN STATE REPRESENTATIVE 54TH DISTRICT DEMOCRATIC CANDIDATES FORUM TUESDAY. Important political events continue to abound in beautiful Ypsilanti, MI! The Leauge of Women Voters of The Ann Arbor Area will be presenting a candidates forum that will include all six of the candidates running in the Democratic primary for the 54th District. Love it! Candidates will be representing Ypsilanti, Ypsilanti Township, and Superior Township. These candidates include Anne Brown, Lisa Cardenas, Bill Krebaum. Ronnie Peterson, Gregory Peoples, and Michael White. The event will be held Tuesday, July 26 at 7pm at the Riverside Arts Center in Downtown Ypsilanti. There is quite a political buzz around Ypsi these days! Be a part of it! HEY, RUDY GIULIANI! BLACK PANTHER PARTY DID MUCH GOOD COMMUNITY WORK! I was irritated, frustrated and angry with Rudy Giuliani last week when, while speaking to CNN, he summed up The Black Panther Party as an organization that ambushed police. I have a lot of respect for The Black Panther Party. 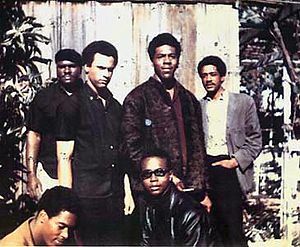 The Black Panthers were officially in existence from 1966 to 1982. The Black Panthers did a lot of wonderful work. Unfortunately, far too many white people have misconceptions regarding The Black Panther Party. I feel there are many misconceptions among white people as far as the Black Panther Party and it bugs the hell out of me. Clearly, after watching Giuliani speak to CNN's Jake Tapper about Black Lives Matter, Mr. Giuliani doesn't know much about the The Black Panther Party or what they stood for. That being said, clearly Giuliani doesn't understand much about the Black Lives Matter Movement which is an organization I also support. Giuliani's comments about The Black Panthers were ignorant and displayed a general misunderstanding of the movement. People often make sweeping sound bite statements without always knowing what they are talking about. That is precisely what Giuliani did on Monday. Giuliani's comments on CNN regarding The Black Panthers, I feel, unfairly and wrongly maligned the Black Panthers as cop killers when in reality the situation was much more complicated. Furthermore, as I stated above, there were a lot of positive aspects to the Black Panthers. Here is a little history lesson for white people who don't no much about the The Black Panthers. The Black Panther Party created many community social programs including free breakfast for children and free health Clinics. They were formed in 1966 to monitor and challenge police brutality in Oakland, California. They monitored police through an armed citizens patrol meaning that Black Panther members were present when black men and women were being arrested. Members would stand at what was considered a legal distance away and watch the interaction between police and black citizens. By the way, this was in accordance with the California open carry law. I also feel its important to view the Panthers through the lens of America in the mid and late 60's and seventies when police brutality directed toward black people was rampant. Although, clearly, many of the bigoted racists attitudes on the part of law enforcement in the 60's and 70's seem to be alive and well today, sadly. Of course, I am not promoting arming citizens and I am not promoting or condoning violence. I am saying that I completely understand and applaud the Black Panthers. I get where they were coming from. The Black Panther Party had a Ten-Point program that was beautiful. At the core of the ten point program was, and I'm para phrasing, a desire for freedom and self destiny for black people, full employment for black people, decent housing and shelter, an end to police brutality aimed at black people, exemption from military service for black people, and number 10 of the ten point plan stated, "We want land, bread, housing, education clothing, justice and peace. Perfect. I say the The Black Panther Party Ten-Point Plan was a wonderful document and too many white people are full of misconceptions regarding The Black Panthers. Mr. Giuliani, please do your homework before spewing hateful comments before millions of people about an organization you seem to know little about. Here is the Black Panther Party Ten Point Plan. Check it out. I applaud this document as important and positive. We want freedom. We want power to determine the destiny of our Black Community. We want full employment for our people. We want decent housing, fit for shelter of human beings. We want education for our people that exposes the true nature of this decadent American society. We want education that teaches us our true history and our role in the present day society. We want all Black men to be exempt from military service. We want an immediate end to POLICE BRUTALITY and MURDER of Black people. We want freedom for all Black men held in federal, state, county and city prisons and jails. We want all Black people when brought to trial to be tried in court by a jury of their peer group or people from their Black Communities, as defined by the Constitution of the United States. We want land, bread, housing, education, clothing, justice and peace. Founding members of The Black Panther Party. Image from Wikipedia. FRUSTRATION ABOUNDS DURING POLICE AND COMMUNITY RELATIONS TOWN HALL AT EMU. The people came: The people spoke, and the people were angry and frustrated at the Town Hall Meeting Policing and Community Relations Thursday at Eastern Michigan University, and for good reason. The event was held at the EMU Student Center Ballroom and featured a panel discussion with the community moderated by WEMU News Director David Fair and All Things Considered host Lisa Barry. The panelists consisted of U.S. Congress Woman, Debbie Dingell, BlacK Lives Matter organizer, Myles McGuire, Washtenaw County Sheriff, Jerry Clayton, Michigan ACLU Racial Justice Project, Mark Francher, and Washtenaw County Prosecutor, Brian Mackie. The room was packed and the mood of many in the crowd was understandably angry in light of the recent police killings of black men who were guilty of nothing. The frustration and anger of those in attendance was represented in the lengthy questions and answers session moderated by David Fair in which those in the audience directed questions to the panelists. Many in the audience, as well as those asking questions, reflected anger and frustration with law enforcement in Washtenaw County. This anger and frustration is a reflection not only of the fear and frustration black people have in the county regarding cops, but also in the country as a whole. Many people who directed questions toward panelists spoke of their own personal negative experiences they have had as black people with local law enforcement. One man who said he moved to Washtenaw County with his wife from Africa recently stated that he and his wife are living in fear of the police in the United States. A young black women who is a EMU student from my hometown of Flint talked of her palpable fear of the police and asked Sheriff Clayton what she should do if pulled over by the police. One of the statements he made in his response to her was not to make any sudden moves. At one point during the Q&A a Native American man spoke of how he has been mistreated over the years by local law enforcement. In fielding his complaint Debbie Dingell did in my opinion appear to be agitated in her somewhat terse response to this man. Sure enough, a moment later the man asked Dingell meekly. "Are you angry with me." For the life of me she did seem aggravated with him in her response though I cannot figure out why. Later Dingell did say how she was upset by the way he was treated. There were also several low points as far as Washtenaw County Prosecutor, Brian Mackie goes. Umm, lets just say that many in the audience did not like him, and I can see why as he was dismissive and insensitive to the grievances aired by several black citizens asking questions. In my opinion all had very legitimate issues in so far as how they feel they have been treated by law enforcement. Also, after a young woman asked Mackie a question regarding police tactics in dealing with people suffering from mental illness, Mackie actually told her that her question was "ridiculous." Wow. What an appalling thing for him to say to the young woman. Washtenaw County Sheriff Clayton spoke eloquently about his feelings that all cops should not be categorized and negatively stereotyped as bad guys. He feels, and I'm para phrasing, that those cops who are acting badly should be held accountable. The fact that a Town Hall Meeting was held discussing policing and the community is a good thing. It is good that people, primarily in the black community, were given a platform to talk about their feelings about policing in their community, It was also clear that panelists Debbie Dingell and Sheriff Jerry Clayton had their hearts in the right place and are concerned about law enforcement community relations issues with the public, but I'm not sure how effective the event was in reassuring a black community angry and frustrated with law enforcement. Further, I would like to say that as a Black Lives Matter supporter, how impressive Black Lives Matter Activist Myles McGuire was Thursday. Also, Mark Francher of the Michigan ACLU brought much wisdom and advice to the event and to the local Black Lives Matter Movement as in when he said, "We must keep on fighting as black people. There is no room for fear." Town Hall EMU Student Center. Photo Purple Walrus Press. There will be a Town Hall Meeting regarding policing and community relations Thursday 7pm at the Eastern Michigan University Student Center July 21. There will be a panel discussion with the community. The event will be moderated by WEMU News Director David Fair. as well as All Things Considered host, Lisa Barry. Featured will be a question and answers session with Washtenaw County Prosecutor Brian Mackie, U.S. Rep. Debbie Dingell, Myles McGuire (Activist) and Racial Justice Attorney Mark Fancher. important Town Hall as there is much understandable concern and anger in the community after two black men were recently killed by police officers. Alton Sterling was killed in Baton Rouge, Louisiana and Philando Castile was killed in St. Paul Minnesota. Both men appeared to be killed for absolutely no reason. The public has a right to be angry. Hopefully, the Town Hall will provide positive dialogue in difficult times. Hope to see you at the Town Hall Meeting: Policing and Community Relations event at EMU. YPSILANTI CITY COUNCIL DEBATE FORUM ADDRESSES DIFFICULT ISSUES. First, kudos to the League of Women Voters of The Ann Arbor Area for organizing the Ypsilanti City Council Candidate Debate Forum held at the Riverside Arts Center in downtown Ypsilanti. The debate featured City Council candidates from wards 2 and 3. Ward 2 candidates are Beth Bashert and Jennifer Symanns. The ward 3 candidates are Liz Dahl MacGregor and Pete Murdock. I am happy to report a strong turn out to the event. From my estimation the place wasn't packed, but was mostly full. There seems to be a real buzz around town in regard to Ypsilanti politics that is nice to see. Like many urban areas in the Midwest Ypsilanti struggles with many issues including city budget, public education, crime, unemployment and race relations. To these ears all but one of these important issues were directly addressed. I did not hear any discussion regarding the struggling Ypsilanti Community Schools which was disappointing. But as far as the other issues listed above they were addressed. 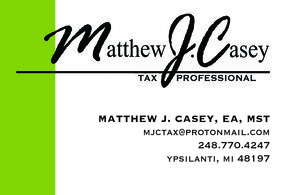 I certainly don't pretend to be an expert as far as all of the issues facing Ypsilanti. However, being from Flint, Michigan I do know a little something about living in struggling communities. There are some similarities between my hometown of Flint and my home of 12 years, Ypsilanti. They are both blue collar towns and they both face struggles with the economy and education. However, there is one difference: After attending Monday nights forum it is evident that all of the candidates running for City Council in Ypsilanti are on the same page as far as what needs to be done to improve the city. I did not get a sense of the divisiveness seen far too often as far as city leaders in my hometown of Flint, and I'm sad to say it. There was not a shred of of contention among candidates tonight at the Ypsilanti City Council Debate. The debate was informative and respectful. As far as views held by candidates all displayed passion and concern for community, diversity, race relations, and growing the economy in Ypsi. It was interesting to learn that ward 3 candidate Pete Murdock, who hails from Boston, comes from a family of activism in the progressive realm. 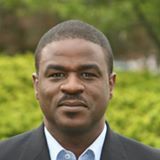 He is running for re election and is much experienced in the world of Ypsilanti politics. He also happened to be Mayor of Ypsilanti from 1982 to 1989. Ward 3 candidate Liz Dahl Macgregor made it clear that she is for the controversial Water Street Millage and feels strongly that Ypsilanti needs more housing. Although not crazy about the idea, MacGregor stated that as far as business coming to Water Street she would welcome an establishment like a food chain to the property. Ward 2 candidate Beth Bashert has much experience in so far as fund raising in the non profit realm. Beth has a lot of experience and expertise in working for increased diversity, green spaces and advocating for public transportation. Ward 2 candidate Jennifer Symanns spoke of her many years of being an advocate for Ypsilanti and her concern for the future of the city. She is interested in discussing the fact that the city has greatly reduced services and that this cannot continue to go on as taxes are high. Of note is the fact she was a police officer and knows much about the importance of positive police relations as far as community building. Though it was abundantly clear that each of the City Council candidates are deeply concerned and passionate about Ypsilanti, the importance of diversity and community building, I would like to endorse Beth Bashert of Ward 2 and Pete Murdock of Ward 3. As far as sharp, concise arguments and opinions presented in a straight forward and genuine manner Beth Bashert did a remarkable job during the debate. She would make one fabulous City Council member. Pete Murdock of Ward 3 was impressive for his experience within Ypsilanti city politics, clearly stated opinions, and sensitivity to social justice. It is clear that each of the City Council candidates are passionate about Ypsilanti and want to make positive changes for the community in difficult times. There will be a Ypsilanti City Council Candidates Forum Monday, July, 18, at 7 pm at the Riverside Arts Center in Ypsi. The forum will include both candidates running for the Democratic primary in wards 2 and 3. This event should prove to be just as interesting and informative as the Water Street Debt Millage Forum held a couple weeks ago. Come check out the Ypsilanti City Council Candidates Forum Monday evening at 7 pm at the Riverside Arts Center! Depot Town in Ypsilanti, MI. Photo by Purple Walrus Press. FLINT WATER CRISIS: WE HAVE NO REASON TO TRUST THE STATE: Contributed to PWP by Flint activist Melissa Mays. We have no reason to trust the State or any other agencies that lied to us and poisoned us for a year and a half. Plus, they ignore the science that says THERE IS MORE THAN JUST LEAD IN OUR WATER AND THESE FILTERS DON'T EVEN TOUCH THE BACTERIA, CHLOROFORM, TTHMs and whatever else is in our water. They won't listen to us, so we have NO REASON to trust them!!! Downtown Flint, Mi. Photo by Purple Walrus Press. TRUE STORY FROM DETROIT PUBLIC SCHOOLS DAYS BY PWP CONTRIBUTOR PATTI SMITH. True story from my days in DPS: one of the students went to Mississippi and Alabama on a big trip to visit family, his first time leaving Detroit! When he came back, he said that he saw a woman who looked a lot like me and so he went up and told her "hello" and said that she looked like his teacher back home. The woman did not reply, tightened her purse strap, and quickly walked away. He did not understand this. My teaching assistant and I had to explain that not every white woman is Ms. Smith and that some people are just rude. My assistant (who is African American) also had to explain that because the student was really dark skinned, some people might take that as a threat. It was an awful conversation, but necessary. Seriously, up until then his only experiences with white people were the white teachers. Never dreamt that I would have to teach this. PACKED HOUSE FOR BLACK LIVES MATTER / YPSILANTI PD JOINT TASK FORCE MEETING MONDAY. Contributed to PWP by Bob Resch. The Ypsilanti High School auditorium was standing room only with citizens from Ypsi, Ann Arbor and many surrounding communities all interested in Police Community relations/Black Lives Matter Joint Task Force. In attendance on the dais were Council Member Nicole Brown, chair, HRC Commissioner Jennifer Symanns, Council Member Anne Brown, HRC Commisioner John Shuler, Co-Chair, Council Member Brian Robb, HRC Commissioner Theresa Saunders and YPD Police Chief Tony Deguisti who discussed training tactics and how important it is for all the local police agencies to work together. Washtenaw County Sheriff Jerry Clayton speech also discussed further details of training. The floor was then opened to comments by the public and what followed was a spirited, intelligent, emotional, and no holds barred series of stories by the public about their experiences with the YPD. The major concern centered around improving officer training dealing with minorities and perceived profiling. Another major concern was improving community relations and a desire for Police Officer involvement in community activities including participation with youth group. Calls for community unity and better relations with Police were met with cheers and applause. Musician Larry Young made an impassioned plea for Police to understand that they must treat the public with respect and dignity and not talk 'down' to people. Many people thought the Police had been guilty of doing too much 'talking' about improving community relations but there had been very little 'action'. Tonight's airing out of grievances can only help to begin to smooth out what's been a bumpy road of late for law enforcement both locally and nationally. And maybe, just maybe, tonight's meeting will plant the seed of hope that one day, together, we can and will SILENCE THE VIOLENCE!!! By Purple Walrus Press contributor Bob Resch. UM FLINT TUITION INCREASE SPURS PROTEST. The last thing UM Flint students need is a 4.1 percent tuition increase, but that's what they got. Understandably, students are angry and staged a protest last Wednesday at Wilson Park located adjacent to the UM Flint campus in downtown Flint. Many UM Flint students work multiple jobs while taking full-time courses which is no easy task. I know because as a guy from Flint I worked my way through EMU here in Ypsilanti many a year ago. Many, many students work their way through college, and it is becoming more and more common as universities hike up tuition. A 4.1 tuition increase hits students hard and is frustrating. Students have a right to be upset. Downtown Flint, Mi. Photo Purple Walrus Press. BLACK LIVES MATTER/ YPSILANTI PD JOINT TASK FORCE MEETING MONDAY. There will be a Black Lives Matter/ Ypsilanti Police Dept Task Force meeting Monday, July 11 at Ypsilanti City Hall. The meeting will last from 7 pm to 8 pm. According to a facebook event post the meeting will focus on how to change policies, training practices, and oversight in ways that avoid senseless killings like we have seen. This certainly sounds like an important event to attend. LOCATION CHANGE: According to a post by Mayor Edmonds the location of this meeting has been changed to the auditorium at Ypsilanti High School, corner of Packard and Hewitt. SYSTEMIC RACISM WITHIN POLICE DEPTS IN U.S./ PROTESTERS RALLY AGAINST POLICE SHOOTINGS IN DETROIT. Something is very wrong with a significant number of white police officers in America and black men and women are paying for it with their lives. I'm talking about systemic racism directed toward black men and women on the part of police officers and police departments. To believe otherwise is to not believe your own eyes. Protesters rallied in Detroit Friday night in response to the heinous shooting deaths of Philandro Castile and Alton Sterling at the hands of white police officers, Castile was shot to death in Minnesota after being pulled over for a faulty tailgate. He was cooperating with police and reaching for his wallet when he was shot to death by police. In Baton Rouge Louisiana, Aldon Sterling was selling CDs in front of a Food Mart. A homeless man called police saying Sterling had a gun. Police arrived, tackled Sterling and shot him to death. For what? Both men were innocent of wrong doing and both men were brutality gunned down by police officers. At the root of this brutality is systemic racism on the part of white police officers. There is no other explanation.This is sickening and beyond appalling. In Detroit Friday evening hundreds of people protested police brutality and shootings, and rightfully so. By all accounts the protest was peaceful, and orderly. The protesters in Detroit were diverse and spanned generations. There is systemic racism within police departments in this country. Obviously, shooting down or harming police officers, as we saw in Dallas, is horrific, tragic and despicably wrong, but legislation must be passed to curtail police violence against people of color. Black men being killed by police for no reason is also horrific, tragic and despicably wrong. MEMORIAL TODAY FOR 3 YEAR OLD STRUCK BY VEHICLE JULY 4 YPSILANTI TOWNSHIP. Tragically, 3 year old Mia Lamb died after being struck by a car driven by a 54 year old man in Ypsilanti Township. This news was so heart-breaking and sad. This horrible event happened on Monday, July 4 in a West Willow neighborhood. The police say that the driver of the car who struck the child may have been drinking alcohol or on drugs. This according to Mlive. A memorial for Mia Lamb will be held today at Crossroads Pub on Cross Street in Ypsilanti from 4 until 9 p.m. According to Crossroads Pub facebook page all proceeds will go to the parents of Mia Lamb. Crossroads Pub is calling the memorial a Celebration of Life for baby Mia. FLINT WATER ACTIVIST MELISSA MAYS ON HILLARY: YOU PROMISED FLINT: WHERE ARE YOU? So last Monday I was honored to be able to speak at the International Women's Luncheon in Chicago. The keynote speaker was Secretary Hillary Clinton. Each of the honorees were allowed a photo op with her. I don't get star struck so I used my couple of minutes to ask questions such as "You made Flint a lot of promises, where have you been?" She asked me how things were and what Snyder was doing and I said "He's doing nothing. The water is worse, people are sick and dying, where are you?" I made statements such as "We're not just a campaign stop. We're dying and we need help. When are you coming back to help like you promised?" I don't care who you are, if you promised Flint help and got people's hopes up, you need to follow through. I think I made her uncomfortable and I doubt I'll be asked back, but we need real help. Yesterday. Contributed to Purple Walrus Press by Flint Water Crisis Activist Melissa Mays. Downtown Flint, Mi. 2016. Saginaw Street. Photo by Purple Walrus Press. BEAUTIFUL DAY FOR 4TH OF JULY PARADE IN YPSILANTI! It was a beautiful day for a parade today in Ypsilanti! The sun was out, the breeze was cool, and nary a soul who attended the event left disappointed. Indeed, a pleasant time was had by all. The 87th annual Ypsilanti 4th of July parade, sponsored by the American Legion and assisted by the Ypsilanti Area Jaycees, happens to be Michigan's longest running Independence Day Parade. The parade began at the reasonable hour of 11am, and began at the corner of Oakwood and Cross Street. The parade ended at Rice Street in Depot Town. The parade featured over 50 participants. Well done parade organizers and participants! The 87th annual Ypsilanti 4th of July Parade Cross St. Photo Purple Walrus Press. ELVISFEST IN YPSILANTI COMING SOON! AND A BRIEF SPIEL...ABOUT ELVIS OF COURSE! One day, when I was but a lad in my hometown of Flint, Mi , I was at the Flint Public Library with my mom and sister. My favorite thing to do when at the library was to peel away from my mom and and sister and head off for the record album section of the library up on the 2nd floor. It was 1973 and my ten year old self had just fallen under the spell of the Beatles who had broken up just a year or two previously. I was on a mission to see what the library had on hand that Saturday as far as Beatles albums. But, wait. Something caught my eye! Who's that cool lookin' dude on the cover of that album shakin' it in front of a superimposed planet earth in the middle of outer space? It was ELVIS! It was his recent record release, Aloha From Hawaii Via Satellite. Via satellite?! Coolness!! What an album cover! I couldn't stop looking at the thing! It opened up and everything! So I walked out of the library that Saturday in 1973 with copies of The Beatles Abbey Road, Rubber Soul, and Elvis Aloha Via Satellite From Hawaii! Perfect! My apologies. My intention was only to announce the fabulous event of ElvisFest right here in our fabulous town of Ypsilanti. Instead, I gave you a whole spiel! I just can't help it! I'm so geeked up about Elvis! Now, for the event. ElvisFest located in Ypsilanti's beautiful Riverside Park begins Friday, July 8, and runs through Saturday, July 9. The event is chalk full of Elvis tribute performers. Also, see tribute performers do their thing for Tom Jones, James Brown, and others. Check it out! 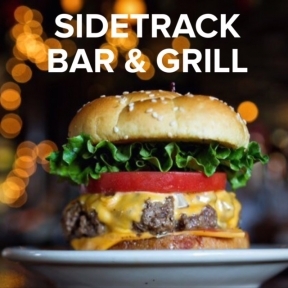 Friday 5pm to midnight $20.00 per person. Saturday noon to midnight $30.00 per person.